Lin-Manuel Miranda: the defender of Puerto Rico? Lin-Manuel Miranda has been outspoken about Puerto Rico. But is he really helping? All of this was well-intended – but Miranda’s support of a Financial Control Board as “the only solution” for Puerto Rico’s economic malaise, has drawn criticism and ridicule. 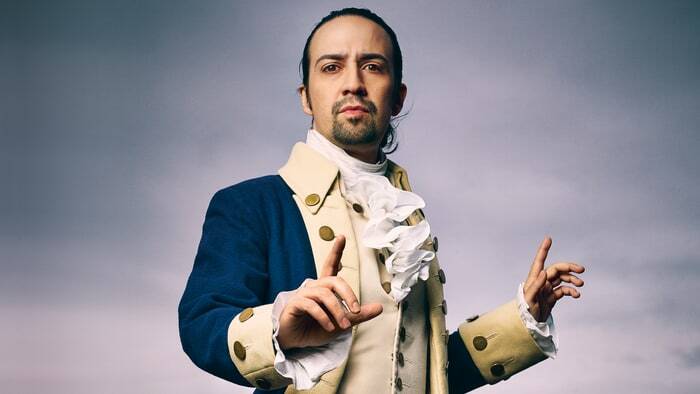 I will not ridicule Lin-Manuel Miranda. Throughout this crisis, I can’t name even one other Puerto Rican “celebrity” who has stepped up to the plate, on behalf of Puerto Rico. At least Lin-Manuel has tried to contribute, within the limits of his influence and understanding. But these efforts can be counter-productive, if they unwittingly support schemes and agendas contrary to the best interests of Puerto Rico. The PROMESA bill and its Financial Control Board, are clear examples of this. The Financial Control Board is nothing but a collection agency for dozens of hedge funds. It will gut the public infrastructure of Puerto Rico and infect it with “public-private partnerships” – 30-year renewable franchises – turning schools, prisons, highways, beaches, even the electrical grid and water supply, into Wall Street ATMs. Things that are needed – an immediate elimination of the Jones Act (the law of cabotage), allowing Puerto Rico to engage in its own international trade agreements, agricultural revitalization, an indigenous shipping industry, and widespread energy projects (wind, sun, water) – are absent in PROMESA , because the law is solely and exclusively devoted to hedge fund repayment, not economic development. And so, in the end, Miranda’s concern became counter-productive. This is one of the inherent dangers, in well-meaning but misguided celebrity. But we need to recognize Miranda for taking on the fight, and attaching his celebrity – and personal credibility – to the complicated issues facing the island. As of this moment, it is unclear if other Puerto Rican “celebrities” care about Puerto Rico and its people, or only about Puerto Rican dollars and adulation. 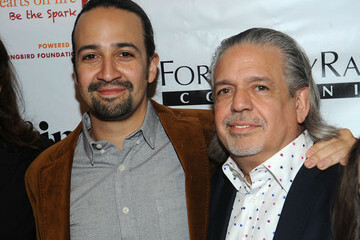 Lin-Manuel’s father, Luis Miranda, is a seasoned political veteran – and now, quite arguably, the most successful Broadway producer in U.S. history. The father prepared the son for dealing with the real world, and for having a meaningful relationship with it – rather than living a vapid existence between the covers of People magazine. And so…thank you to Lin-Manuel Miranda, for caring about our island. Credit to father and son, for bringing their intelligence to politics and theatre – which in 2016, have become nearly synonymous. That intelligence must now be sharpened: to develop better solutions for Puerto Rico, than a disastrous Financial Control Board. Greg, it was an honest mistake. Regrettably, the post was sent “before” the quote could be completed. There is no intent to incite anyone to any acts of violence nor an attempt to convey any subliminal messages. I’m aware of that part of our history, which you speak of. I thank you, nonetheless. Im, also, aware of the surveillance apparatus that is forever present, particularly, in the Puerto Rican community. Ruben…I am glad to see you corrected your “accidental” inclusion of an incomplete quote. As it read in your original post it appeared that in your last sentence you were suggesting that Puerto Ricans “arm themselves”. And since we already pulled that hapless stunt on March 1st, 1954 in Congress when 4 “indepentistas” took it upon themselves to shoot into a congressional meeting of 240 members which wounded numerous innocent members or congress, who were at that moment doing the business of their districts AND, which resulted in the 4 death sentences, which were ultimately commuted to “life sentences” of 4 Puerto Ricans, I don’t think we want to find ourselves going down that ill-advised road, especially at the inadvertent “suggestion” of an anonymous person on the internet. The 4 “patriots” paid HUGE prices for their acts (as did the innocent victims of their bullets) and they accomplished nothing more than to raise the sceptre of contempt over the entire Island’s population for the decades that followed. And in these times of hyper-cyber-surveillance, especially of anonymous cyber-nauts posting under cyber-nyms or fictitious first names, I would not recommend anyone even unintentionally write or say anything on the internet that FBI or CIA operatives might deem subversive or a national security breach. And we certainly don’t want to incite any false “patriotism” that some psychologically-stunted personalities on the “internetz” might be all-too-quick to embrace which could cause them to start throwing coconuts and avocados at the Love Boat Cruise ships sailing past Fortaleza every hour. It WOULD be great if they focused more on learning their history to better understand how the Island got to where it is today and where it might want to go tomorrow, but sad to report, few are the ones that lift their faces out of their “smart-phones” and we have the mortality rates to prove it. ….the proper inscription at the entrance to the James Madison Building at The Library of Congress is “Knowledge will forever govern ignorance and a people who mean to be their own governors must arm themselves with the power which knowledge gives.” Excuse the misquote. These celebrities are a joke..it’s all about the money for them. Lin-Manuel Miranda …. Indeed the only Puerto Rican celebrity who has spoken out, using his celebrity status. Where are the many their voices?? Must admit, didn’t know his real “position”! The guy is little more than a knuckle-dragging, hip-hop ping, dancing ghetto-rapper who through his own efforts put himself at the right place at the right time in the right politically-contorted climate which he seized opportunistically and we can’t blame him for grabbing his 15 minutes of “fame” to make a few bucks. But that fame amounts to little more than a 4-letter word when not used wisely. Wannabe-pseudo-urbanistas waited on line for hours to pay $1000 to watch his historically anachronistic Broadway spectacle and now that he’s off the stage, they’ve returned to suburbia and the red, white and blue confetti has been swept-up. I hope he banked his money, because the world and whim of Broadway is notorious for not remembering their “stars” after they leave the lime-light. And I cannot imagine that Hollow-Wood has any shortage of very willing generic “La Tino” actors panting to play drug addicts, pimps or illegal vampires in re-makes of “Worst Side Story”. But then there’s always Las Vegas where he can ride on Siegfried and Roy’s White Tigers behind Celine Dion’s feathered and plumed head-dressings and in the midst of clouds of champagne bubbles. But let’s not be too harsh on Miranda. He hasn’t a clue about Puerto Rico’s financial and economic plight other than what he has read on the internet, FaceBook or YouTube. He is no scholar nor political scientist nor political strategist and not surprisingly his political acumen and depth of understanding are as “deep” as a shrinking puddle in the desert at mid-day. He made a HUGE mistake when he went to the White House to dance and sing on the very porch of the sitting president who has turned a DEAF ear for EIGHT years to the cries and supplications of Island-bound Puerto Ricans begging for his intervention and relief. But I’m sure Obama autographed Miranda’s 100 powdered wigs and someday they will sell for $1.00 on E-Bay. We make a mistake when we raise our expectations of our “Celeb-Ricans” higher than curb they stand on. And do we really want Rosie Perez, J-Low and Ricky Martin to leave their mansions, pent-houses and Bentley convertible limousines and army of illegal servants to “weigh-in” with their predictably inane opinions? Think about it. I would trust better judgment to come from the Taco Bell Dancing Chihuahua. At least he knows when NOT to lift his leg to pee in public. Miranda? He will go on to dance and sing somewhere for some dollars. Love boat cruises out of San Juan or Miami? That trajectory is predictable.